The Peak District was Britain’s first National Park and the starting point to the UK’s first national trail. However there’s more to the place than Kinder Scout and Edale. On its journey between Rocester (over the border in north Staffordshire) and Castleton, the Limestone Way heads through the southern part of the park. 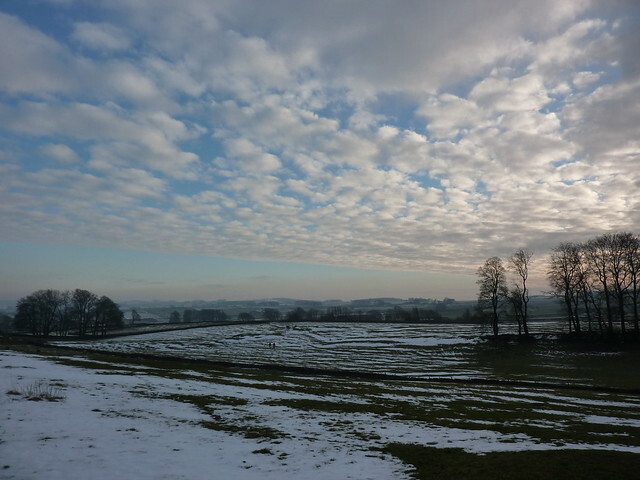 It goes along the beautiful Derbyshire Dales, and through beautiful villages. And as you might guess, there’s more than a bit of limestone too. And finally, and any questions? 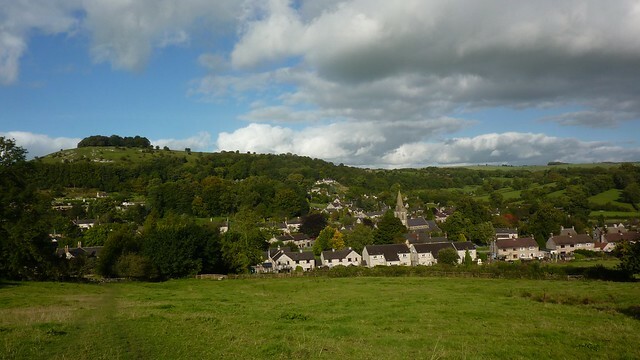 For the most part the Limestone Way heads through the attractive Derbyshire Dales, through a number of Peak District farms and dales, passing through several villages. Much of it goes through sheep-filled farm fields or along country track, however the best parts are through the many dales along the route – the northern half between Castleton and Bonsall is especially rewarding. Limestone is often in view. It is a relatively gentle and easy trail and whilst there are some hills, they are never particularly high and never particularly taxing. 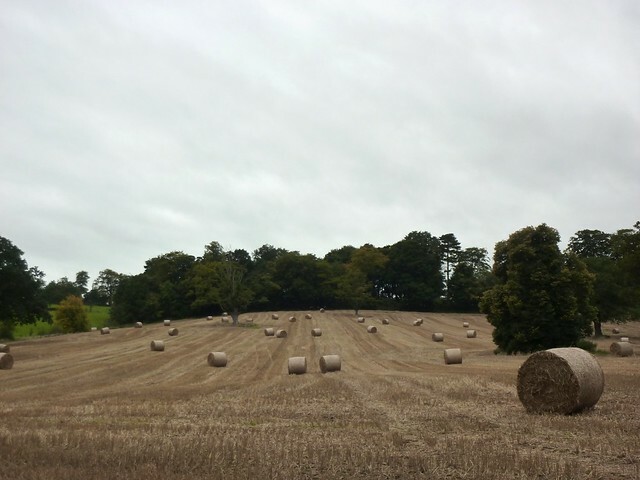 The section between Rocester and Thorpe is in Staffordshire and is a very different walk to the rest of the Limestone Way, featuring a flatter landscape, fewer views and many muddy farm fields. Unless you are particularly fussed about completing the whole route, you may wish to skip this section and start/end at Thorpe or Tissington instead. For the most part, the Derbyshire section is reasonably well waymarked, however you will need a map for several sections. The Staffordshire section has very little specific waymarking for the Limestone Way and being able to navigate with a map is absolutely essential. You can see the route of the Limestone Way using the map above. Using the controls you can scroll around, zoom in and explore the route. Note that this map is a guide only, and should not be used for navigation. You can also download the GPX file of the route. The Limestone Way is not a particularly long walk and is easily split up in to a four day walk. For those that prefer longer days it is possible to do it in three days. Itineraries for both three and four day walks are shown below. The walk is usually shown travelling north to south, and the itineraries below reflect that. However it is arguably a far more rewarding walk if you travel south to north. This is because the best scenery is at the northern part of the walk. Locations with a railway station nearby are marked with a 🚂. All locations listed have a pub and a shop unless otherwise noted. Nearest train station to Castleton is at Hope, two miles away. There are regular buses between the two. 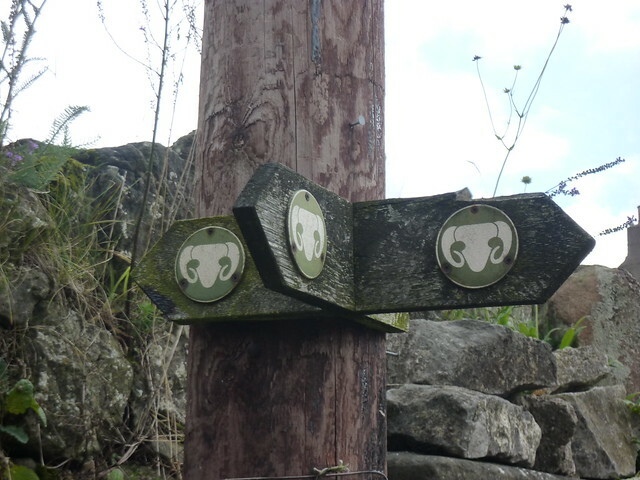 If you’d like to split the journey, the easiest most sensible place to do this is at Bonsall where you can follow the waymarked link route to Matlock. Thanks to good paths and easy navigation, the Limestone Way is a good walk to do all year round. Finding accommodation for the Limestone Way can be difficult. With the exception of Matlock and Castleton, there are few B&Bs or inns en-route and they can be very busy, especially at weekends. Booking in advance is extremely advisable. visitpeakdistrict.com Accommodation Search – the official tourist board website for the Peak District has a search option, although not all B&Bs are listed on it. Enjoy Staffordshire – official tourist board website for Staffordshire, once you cross the county border. Peak District Online – commercial website with a large accommodation guide. Ramblefest’s Limestone Way pages – accommodation and information guide about the Limestone Way. Can be helpful however we found several B&Bs listed had ceased operating so be wary that information may be date. Using a search engine may also yield some results not listed on the above sites. As far as we know, no companies provide an accommodation booking service for the Limestone Way. Nor are we aware of any companies that provide baggage transfer. YHA Castleton – pretty new hostel, a short distance out of the village, and about a mile away from the Castleton end of the Limestone Way. The YHA itself is based in Matlock. Unfortunately that doesn’t mean you’ll find a hostel there – YHA Matlock closed in 2007. There are a number of campsites near the route at various stages between Thorpe and Castleton. Most are marked on Ordnance Survey maps, and you can find lists on a number of websites. However there are no campsites near the route between Rocester and Thorpe. There are sites in the Matlock area, however not ideally positioned for the walker. The Limestone Way goes through a lot of cultivated fields, villages and farmland, and there are sheep or cows almost everywhere you go. This means that finding a wild camping spot will be few and far between. Neither end of the Limestone Way has a railway station, however there are stations relatively nearby. Hope station is about two miles away from Castleton village and has regular services to Manchester and Sheffield down the lovely Hope Valley Line. Buses run between the station and Castleton village. The nearest station to Rocester is about five miles at Uttoxeter. Westbound services head to Stoke and Crewe, whilst eastbound go to Derby. Regular buses run between Uttoxeter and Rocester, although not all serve the railway station itself. Buses also connect Rocester with Derby. Matlock also has a railway station, with frequent services to Derby. Several villages on the walk are served by buses. Route details can be found on the Public Transport in Derbyshire map, which also shows the route of the Limestone Way. Bus timetables can also be found on the same website. There’s no real in-print guide books for the Limestone Way, however Derbyshire Dales Council have pulled together a Limestone Way pamphlet which is available to buy online for £2 at the council website’s Limestone Way page. There is an out-of-print guide published in 1997 called Walking the Limestone Way which may be possible to find second hand, although not necessarily at a cheap price. Explorer maps are especially recommended for the Staffordshire section where the extra detail comes in handy. So there you have it. If you’re thinking about walking the Limestone Way, what are you waiting for? Get planning and get your hiking boots on. As ever though if you’ve any additional questions or information you’d like to know, just ask in the comments box at the bottom of this page. Looking for a trip in the latter half of May about 50 miles of walking, hoping for nice weather (less rain). Which would be the nicest trip? 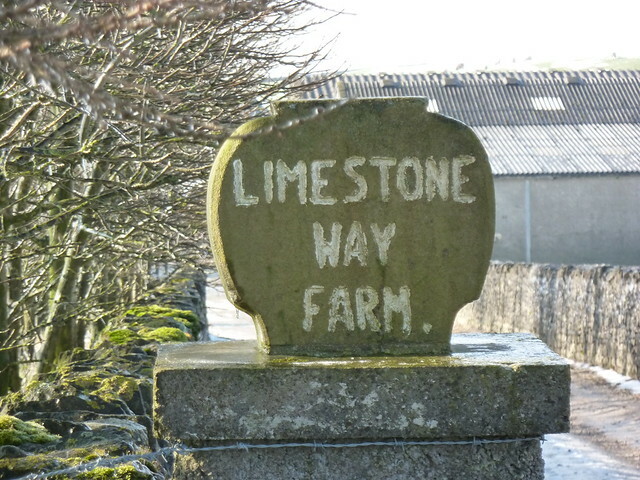 Hi Mary – are you looking for any trip, or just the Limestone Way? The Limestone way sounds great, is it possible to do it on a mobility scooter/wheelchair? please somebody say yes:)……..Paul. Hi Paul – I think a mobility scooter would probably struggle as there’s a lot of stiles and narrow, rocky paths. There are some bridleway sections where it would be fine, but not the whole thing. Thanks for all the info. Moving to sheffield in September, so hoping to do this as soon as possible. Looking to camp. I walked the limestone in 2013 in August. Started at Castleton and did it over 3 days! I really enjoyed the walk, however I would start at Rocester as the scenery is better on the way to Castleton. I stopped at a nice B and B in Flagg and Bonsall. I would encourage anyone yo do this walk! Great memories! Is it possible to do this walk and just stay in hostels? Or is there another Peak District walk where that is possible? Love your site so packed with useful and interesting info. You suggest the Limestone Way be walked from South to North from a scenic point of view. Could you tell me is there much difference in terms of uphill walking? Cherry – there should be no major difference going in either direction. The Limestone Way’s not got many hills. A silly question: how far is Castleton from Edale? My sister and I walking from Thorpe to Edale, (as part of our ongoing Land’s End to John O’Groats trek) and the Limestone Way looks like a good way of getting there. Hi Susie – it’s a couple of miles. You just pop up over Hollins Cross, where you’ll get a fine view. I’m looking too do the limestone way in a 24 hour challenge, is this possible?? Thanks, Andrew. It didn’t look far on the map but it’s helpful to have the reassurance. Sometimes the last two miles can be the straw that breaks the camel’s back, especially when one of the camels is over 70 yrs! Is it possible to wild camp. Hi Hale – no the walk doesn’t go over the viaducts. thank you for all those informations. I would like to know how easy it is to camp along the limestone way? is it dedicated places or is it totally wildless camping? Labrousse – there are several dedicated campsites along the trail. There’s no legal automatic right to wild camping in England, and you should check with the landowner for permission. There are some spots that – with permission – may suit wild camping. However the trail goes near lots of farmland. I did a 5 day South to North trip, with baggage transfer. Absolutely worthwhile! You can find multiple agencies that plan your trip with a simple search on the internet. I went with one called ‘Contour’. Great service, would book again. Im not from the UK and the Limestone Way was absolutely stunning, exactly the type of British landscapes one would expect.You could probably walk it in 3 days, but there is plenty to see along the way to justify making it a 5 day walk. I went in September, there were hardly any people anywhere along the route, none of the locals I spoke even knew about the Limestone Way. If you want to stay away from the crowds this is for you. Dont expect spectacular scenery, the charm of this walk is the green hills scattered with Limestone, walking trough farmlands and small quiet villages. ‘re bag transfer, I just rang local taxi companies and organised it that way as I couldn’t find a specific company. I walked the Limestone Way some years ago as my mother lived in Monsal Dale at the time. It’s a stunning walk through the different dales ,sadly not Monsal dale with its beautiful viaduct and now the tunnels are open a great walk through to Bakewell. The other stony walk is the Sandstone Trail from Frodsham to Whitchurch which is around 35miles and another joy to walk. Also the Gritstone which is another 35 miler from Disley to Kidsgrove and takes about 3-4 days. It’s very hilly but the views are stunning for all three walks and good for a long weekend. Would it be possible to do the Limestone Way in 2 days? Leigh – if you’re capable of walking 23 miles in a day, yes. I am planning to walk the Limestone Way over 4 days this spring. But my intention is to tag this hike on from the Calder-Went- walk starting from Horbury Bridge near Wakefield to Penistone via Yorkshire sculpture park and Cannon Hall, then Langsett.. Then from there over Mickledon Edge, to Howden/Derwent/ Ladybower reservoirs, then on to Hope. Are you aware of any baggage transfer companies whom would lighten the load ? Hello Mel. Don’t know of any on the Limestone Way I’m afraid. You may be able to arrange something with a local taxi company but that’s all I can suggest. Is there anything to mark the end of the Way at Rocester? Hello Gill – there wasn’t when I walked it in 2012. I did a piece about what’s at the end. It doesn’t make happy reading. I thought I’d let you know that my husband and I walked the first 27 miles of the limestone way during a boiling hot day last July and did it all by using your blog! We also started in the south like you suggested and look forward to doing the second half this summer. I forgot my hiking shoes so walked it in sandals – I wrote a blog about it if you are interested!??!! Where is the starting point in Castleton? Hello Julie. It’s on Bargate – the entrance to Cave Dale. It’s not massively obvious from the road, but is signed. Thank you! I will find it and look forward to it. First Published: 29 November 2012. Last Updated: 10 April 2019.